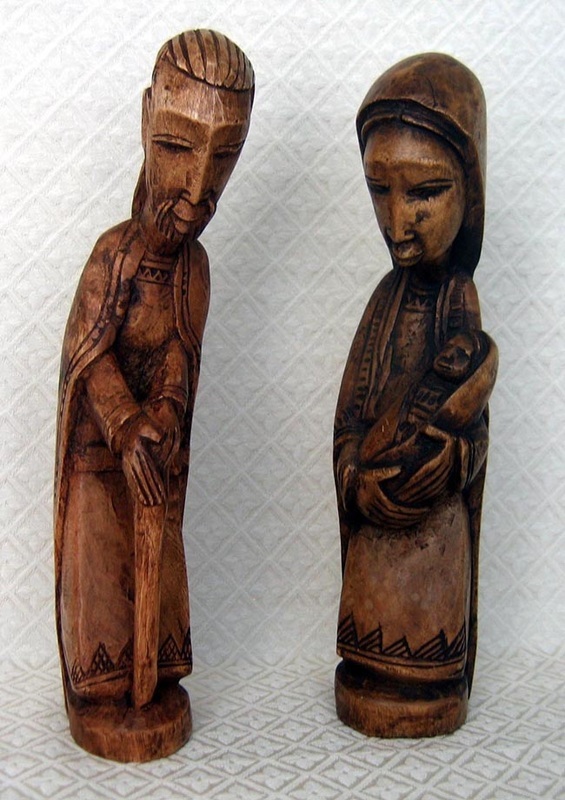 This wood carving portrays Joseph standing beside Mary, who holds baby Jesus. The scene was carved by Mirirai Chengerai, a legally blind 42-year-old Shona sculptor from Harare, Zimbabwe. The Shona tribe of Zimbabwe is famous for their stone sculptures, but they also have a rich artistic heritage in woodcarvings. Despite his impaired vision, Mirirai produced a detailed Africanized version of the Christian icon. The wood is light jacaranda wood that has been stained dark brown. The figures measure 12 inches tall.